A Theology professor in college shared once in class about how healing it is to cry. It has been helpful all these years as the tears fall from my eyes with grief or upset to remember they are good for me and nothing to hold back or be ashamed of. I had unexpected tears fall from my eyes this morning after making a phone call. As the person answered I needed to speak to, all I could do was cry as I tried to get the words out that I needed to say. So, please remember the next time tears start welling up in the corners of your eyes — there could be nothing healthier for your soul, heart and spirit than for you to release them. 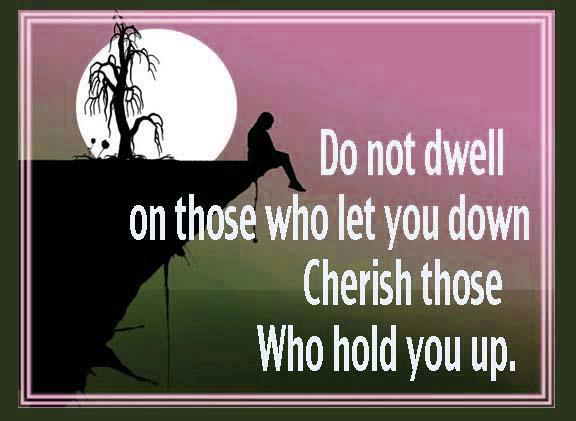 Let them fall, one by one. Whether it becomes a brief release or many emotions all at once deciding they want to come out. Release the healthy expression of tears and experience the healing that comes when you do. 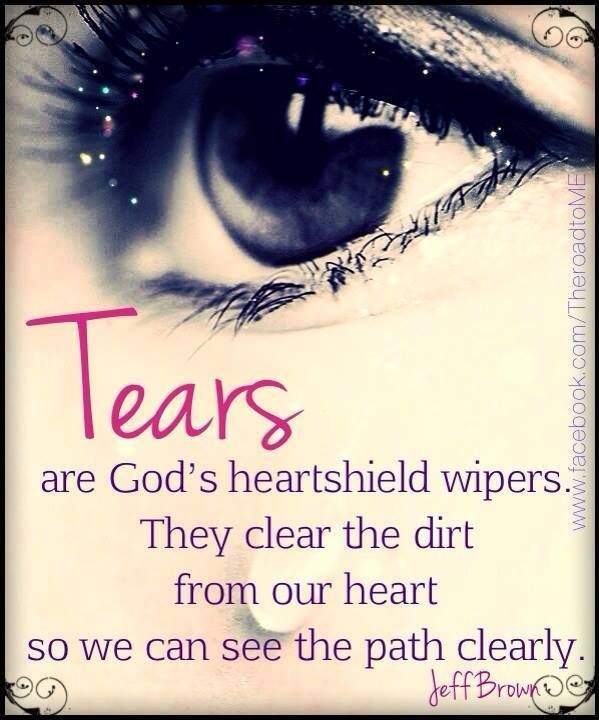 Blessings to you on your path and always remember that tears are a good friend on our healing journey. Blessings. ps. If you saw the quote I wrote earlier today and shared on Diabetes Light’s Facebook page, this is related to the same situation. And I did feel much better after I cried. Rest for good blood sugars? 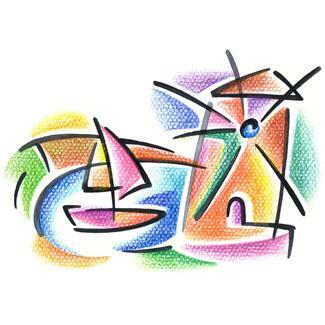 Today was unusual for me in that I did not have anything scheduled. For months now my life has been so busy as I rush around each day often to many healthcare appointments as I try to heal both from my frozen shoulder and the car accident I was in a few months ago in addition to the busyness of my regularly scheduled appointments and life. Photo Credit: Practicing the Presence through Mind and Meditation, a Facebook page. 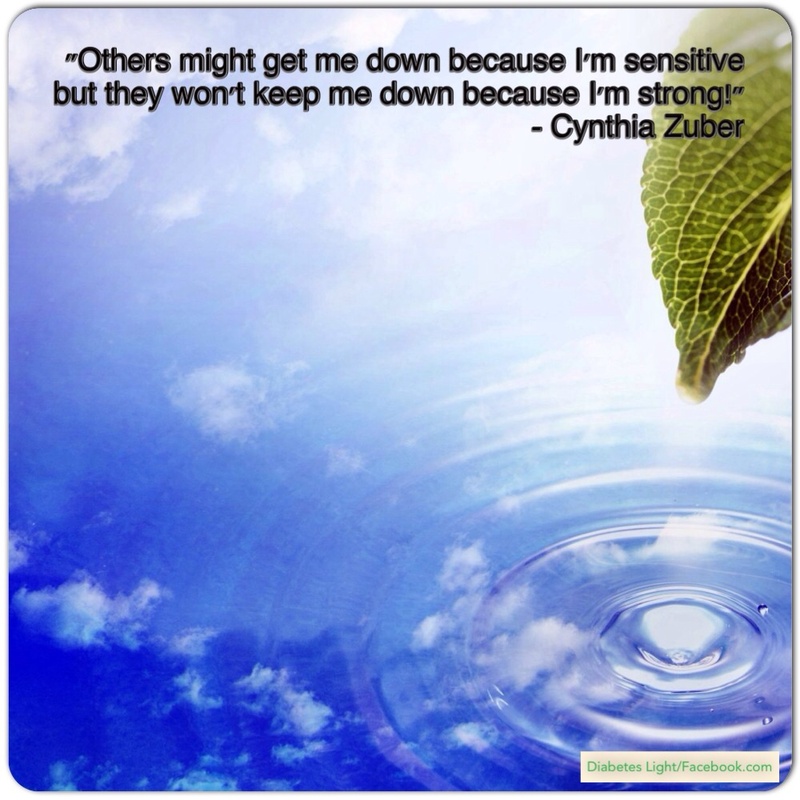 As a sensitive person, this is a good reminder. 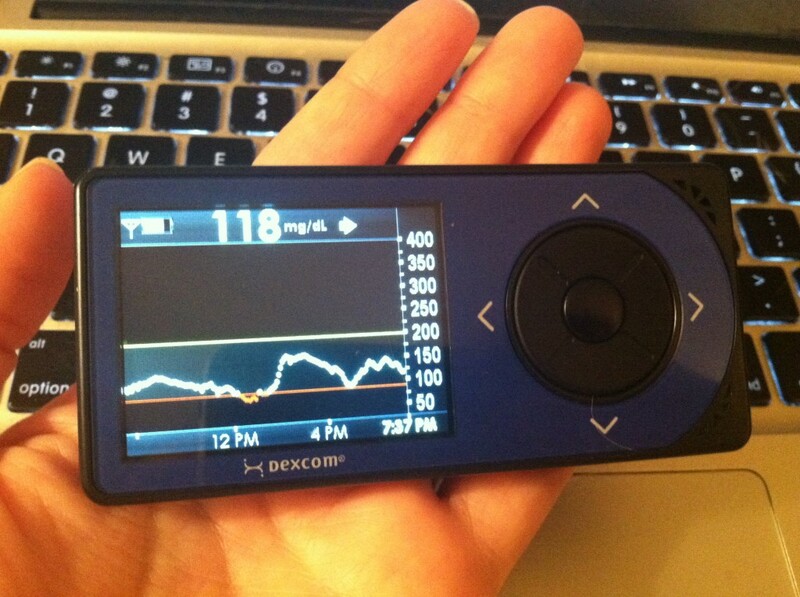 Wearing a Dexcom CGM (continuous glucose monitor) for several years, I have noticed just how much difficult emotion and hurt feelings impact my blood sugar negatively. 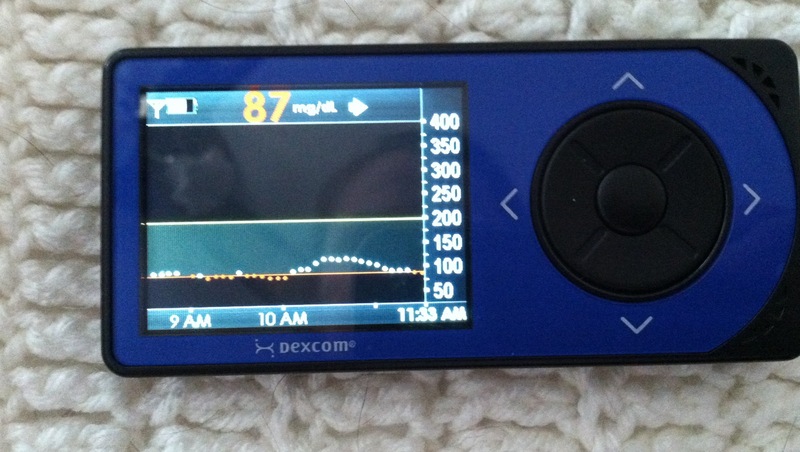 My CGM graph can literally climb double arrows up within minutes of a challenging situation or emotion and stay elevated for hours even with increased insulin. I have been struggling with this for way too long. My good friend Natalie and I started our vegetarian restaurant tour on Thursday this week. Stop one was an organic-vegan-raw-gluten free restaurant called Ecopolitan in Minneapolis. Why a Vegetarian restaurant tour? A few reasons. I have not liked meat much my whole life. But.. I have always eaten meat because of what we are told about it being good for our health and that as someone living with Type 1 diabetes, it is especially critical to keep our blood sugars balanced and keep us healthy. The extent of my meat protein consumption for many years has come from organic free-range chicken and turkey and very occasionally beef. I have always had to disconnect from the meat I was eating to actually be able to eat it (I really love animals a LOT!). This past month, the last few times I ate meat, I experienced stomach aches and high blood sugars that were very resistant to insulin. Along with always feeling so vibrant and healthy when I eat a meal full of fresh yummy organic vegetables and fruits, I figured this was a great time to experiment with getting my protein from sources other than meat. I will still be eating organic eggs, cheese and butter and occasionally other dairy too—a vegetarian diet. This is different from vegan which does not consume any animal products including honey (which is something that I find works very well for me to bake with and keep my sugars balanced).